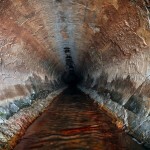 Hydro excavation equipment is essential for reaching fragile and delicate underground structures. These machines use water to do the digging for you and help you avoid the dangerous possibility of cutting through pipes or electrical lines. 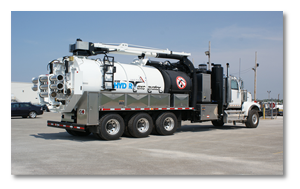 The hydro excavation trucks in our inventory are equipped with water heaters and produce high-pressure, low-volume streams to safely and quickly dig. 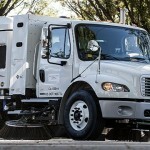 This increases efficiency by cleaning debris and dirt with the least amount of water. 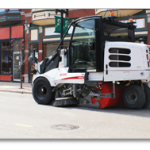 Our Vactor truck rental machines are friendly for the environment and safe for operators, but you should follow these tips for operating your equipment. 1. Always use the right amount of vacuum power and water. Don’t automatically default to the maximum settings. Doing so when unnecessary causes increased wear and tear on the chassis and vacuum system. Instead, carefully evaluate your application and choose the appropriate settings for the job at hand. 2. Recognize that every job site is different. To choose the correct settings and the most productive method of vacuum excavation, consider the presence of underground infrastructure at your job site and consider the soil conditions carefully. 3. 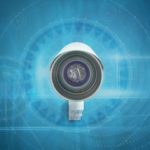 Determine the best operating techniques for your job. If your job requires more precise cutting, choose low-flow water. If you need to quickly excavate larger areas, go for a high-flow spray that will erode large volumes of soil in no time. Choosing the low-flow method will conserve water and allow for increased operating times without needing to refill the water tank. It also means less water that needs to be hauled away from the debris hopper. High-flow methods are productive but require much more water. 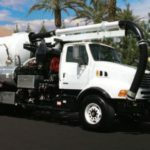 Have more questions about our Vactor truck parts or hydro excavation techniques? We are happy to help! Contact us today for more info.